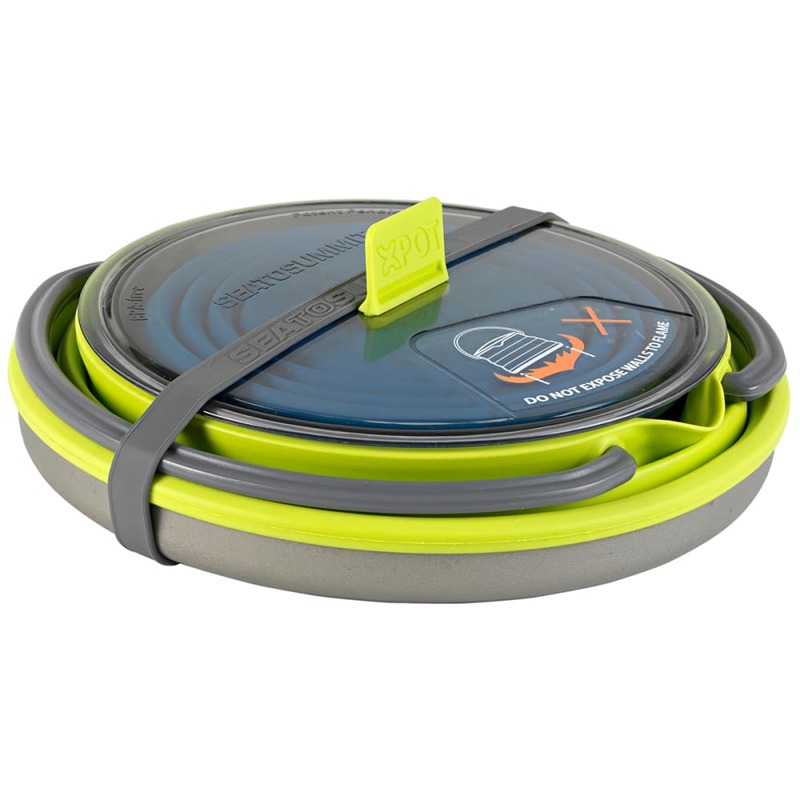 The collapsible cookware in the X-Set™ 11 is a game changer for outdoor adventures. 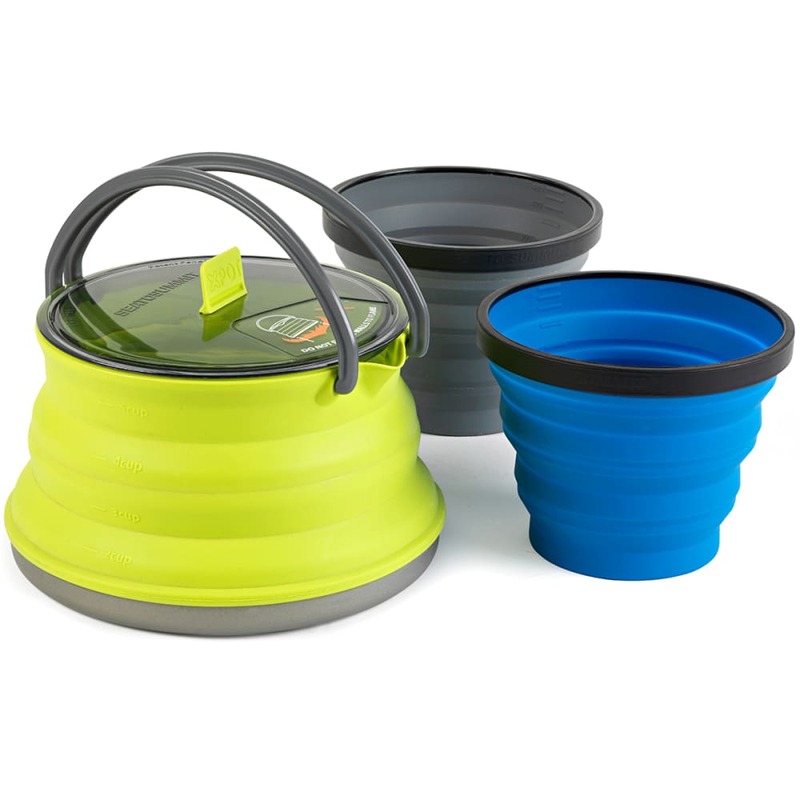 Using the same award-winning, innovative, space saving, collapsible, and functional features as the X-Pot™, the X-Kettle™ is made with a hard-anodized aluminum base with collapsible silicone side walls and glass-reinforced Nylon 66 handles. 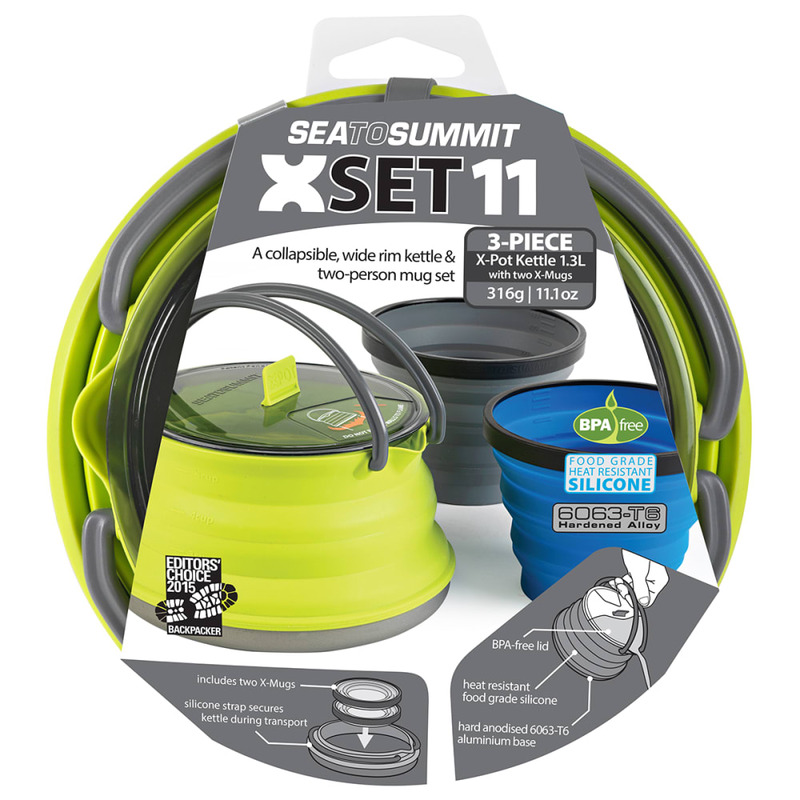 This set will free up space in your pack for other essentials and includes the X-Kettle™ and two X-Mugs. It makes it the perfect two-person set for your morning hydration routine. Additionally, the X-Brew™ Coffee Dripper will nest inside this set. Weight Comparison: 11 oz. / 316g &thickapprox; Close to two apples. Individual pot weight: X-Pot/Kettle 1.3L – 6.6 oz. Packed size: 6 x 1.3 in. Pot volume: 1.3 L / 44 oz. Volume (fluid ounces): 44 oz.